Upper Multnomah Falls is east of Portland. On I-84, access to Upper Multnomah Falls is a left lane exit appr. 30 miles from Portland (Multnomah Falls exit). To reach Upper Multnomah Falls climb up the switchback path (1 mile) to the top of Multnomah Falls. 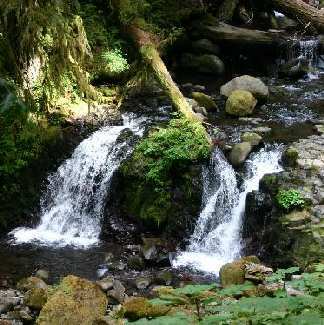 Once at the top bear left away from Multnomah Falls to a gravel trail.